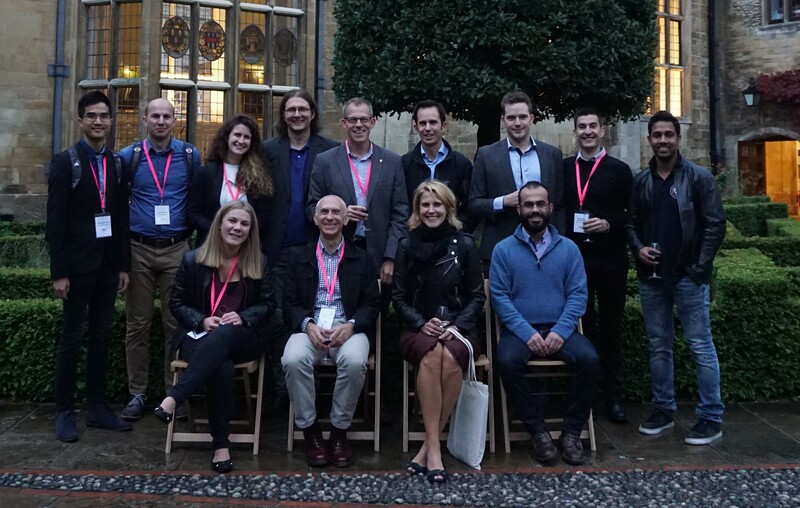 The 4th Conference of the International Building Performance Simulation Association (IBPSA), Building Simulation & Optimization (BSO) – England, took place on the 11th – 12th September 2018 at Emmanuel College, in the heart of Cambridge. A number of LoLo CDT students and academics took advantage of the opportunity to attend and present their work. LoLo CDT members who attended the conference included the PhD students Charalampos Angelopoulos, Matej Gustin and Konstantinos Chasapis from Loughborough University (LU) and Giorgos Petrou and Duncan Grassie from UCL. Whilst the staff attending included the LU Academic Manager Dr Robert McLeod (vice-chair IBPSA England), prof Malcolm Cook (LU), Dr Christina Hopfe (LU), prof Jonathon Wright (LU), Dr Steven Firth (LU), Dr Anna Mavrogianni (UCL), Dr Rokia Raslan (UCL) and prof Dejan Mumovic (UCL). BSO 2018 attracted a large number of academic and industrial delegates from as far afield as Japan. The conference themes spanned from building design and operations to architecture and district level modelling. Over 150 delegates attended the event (with approximately 95 contributions including poster presentations and oral presentations along with full papers submissions) transforming the conference into a hive of interesting discussions and ideas. The conference started in earnest on Tuesday morning with an engaging keynote talk addressing “Application of Optimization Techniques to Environmental Design, Energy System Operationand Building Shape Design” by professor Ryozo Ooka from University of Tokyo, Japan. On Wednesday morning Dr Penny Carey (Portakabin) presented an eye-opening keynote on “Meeting the challenges of improving building standards within the construction industry”. The conference ran in three parallel sessions with categories covering a wide range of topics addressing: Daylight, District Energy Systems, Optimal Control, Ventilation, Optimization, Retrofit Analysis, Overheating etc. On Wednesday afternoon, the conference drew to a close with an inspiring keynote by professor Joe Clarke, University of Strathclyde, Scotland on “The future role of building performance simulation”. 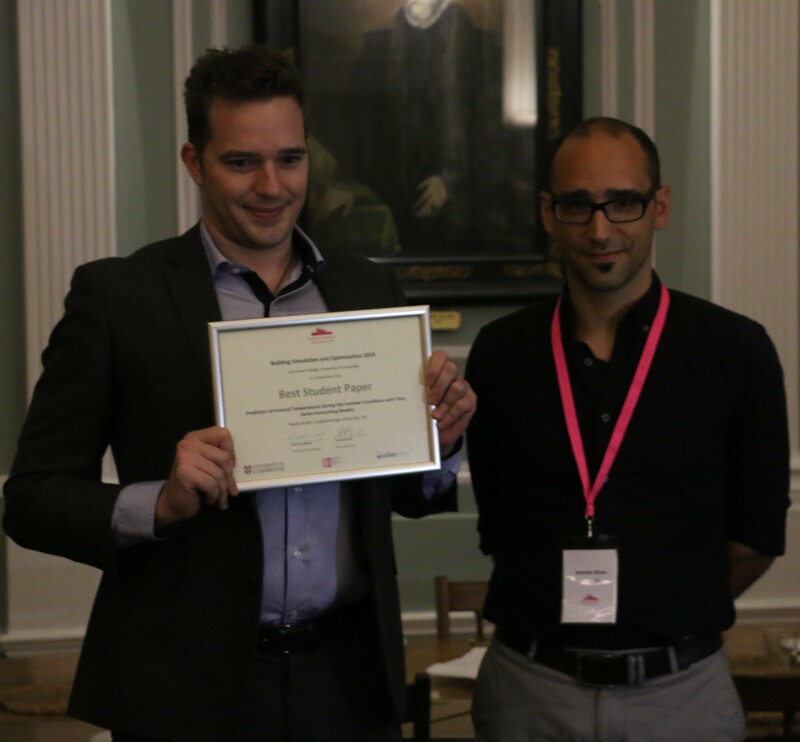 Highlights of the event included second-year LoLo PhD student Matej Gustin receiving the award for best student paper, with the title “Prediction of internal temperatures during hot summer conditions with time series forecasting models” supervised by Dr. Robert McLeod and Prof Kevin Lomas. BSO 2018 conference offered an unparalleled opportunity for the LoLo CDT members to attend and present their cutting-edge research in a prestigious and multidisciplinary conference. The engaging discussions that took place after the presentations provided the presenters with valuable feedback on their work and the opportunity to explore other alternatives routes for their future research. Thanks are given to the LoLo CDT for supporting student and staff participation in this event.